Stephen King wrote, “If you haven’t got time to read, you haven’t got time to write.” In 2016 I read 50 books and wrote 2 myself. I hope to read 100 next year and write 2 more. This is A Year in Books! As a child I hated reading. Couldn’t see the point. I’d rather cradle my chin on my fists and stare endlessly at the TV. In my teens I discovered Ian Livingstone’s Fighting Fantasy books and Terry Pratchett’s Discworld. I haven’t stopped reading since. I try to read one book a week. Usually I succeed. This year I read 50 books. 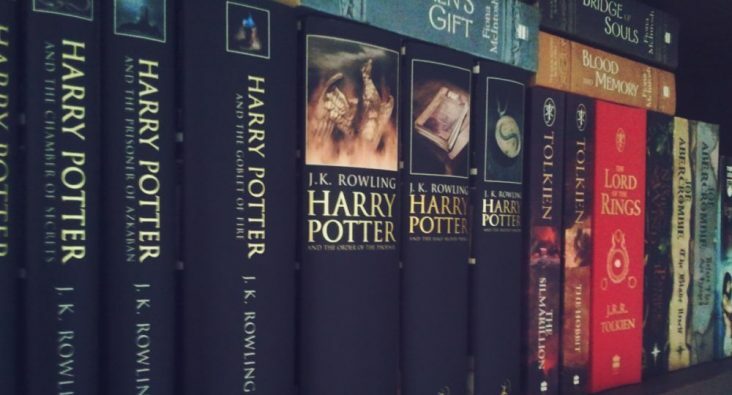 A few were huge 1000 page novels, others were short children’s books, and some graphic novels too. I like to have two or three different books on the go at any one time so I have a choice depending on my mood, like picking albums to listen to when writing or creating things. Below are my Top 5 books this year. They’re all brilliant and worthy of your time and money. As well as those listed below, I’ve really enjoyed Patrick Ness’ ‘A Monster Calls‘, C L Taylor’s ‘The Accident‘, David Edding’s ‘Belgariad Series‘, and Stephen King’s ‘Dark Tower Series‘. 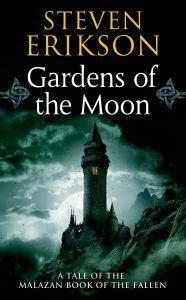 Being an obsessive fan of ‘The Lord of the Rings’ and ‘Game of Thrones’ books, I found ‘Gardens of the Moon’ deeply rewarding, introducing a unique and fully realised magic system, an enormous cast, epic world-building and storylines that kept me on the edge of my seat. This was a book that devoured in a little over a week, despite it’s size, abandoning all other social activities. Book Two ‘Deadhouse Gates’ sits patiently on my bookshelf. I fear to start this 1000+ page epic as I know I’ll lose two weeks of my life stepping into the Malazan Tales once again. 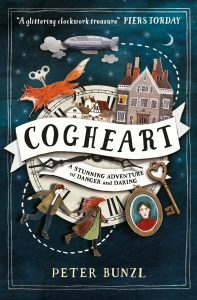 This Middle-Grade novel was Waterstone’s ‘Book of the Month’ in August 2016 and for good reason. Peter Bunzl’s steampunk adventure features Lily, the daughter of an inventor (who has gone missing) and her mechanical fox, Malkin. While searching for her father, Lily befriends Robert, a clockmaker’s son, and together they travel cross Victorian England pursued by the silver-eyed men. Murder, mayhem and adventure at it’s finest! I loved this book. 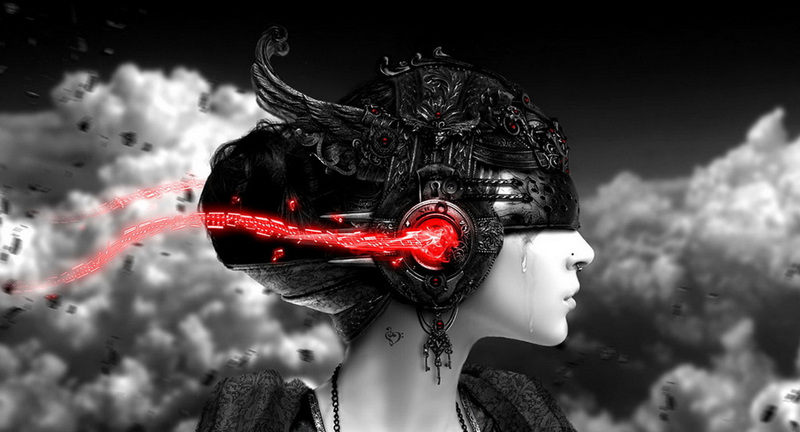 Fast-paced, fun and highly imaginative. It was remarkably similar to The Madison Chronicles too which was great as it gave me a good draught of encouragement. 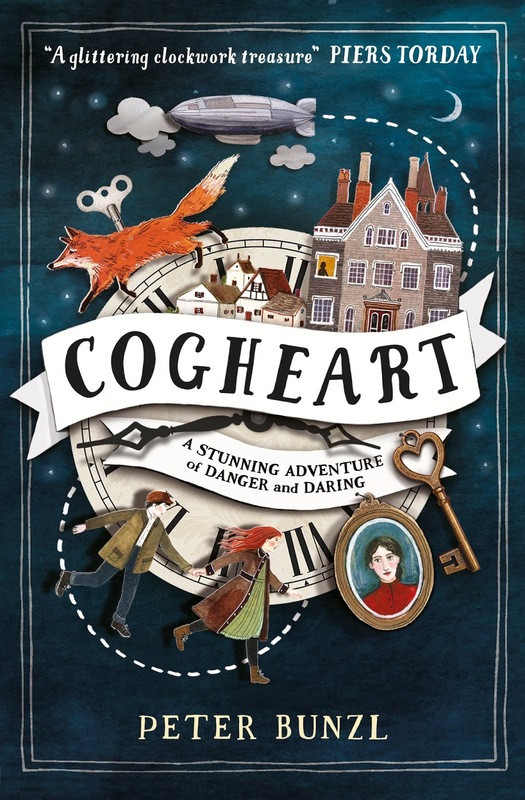 ‘Cogheart’ is as suitable for 9-12 years as it is for grown-ups. A gripping, enjoyable read for all ages! Laugh out loud funny and disgusting in equal measures, ‘Monsters’ is a book I’ll be reading again. Soon. It looks like a children’s book, it feels like children’s book, it reads- for the most part- like a children’s book. But this is NOT a children’s book. Not at all. 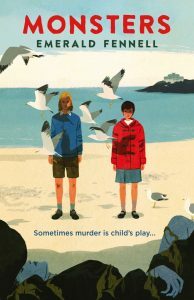 With echoes of Roald Dahl and Enid Blyton shimmering on every page, this book follows a 12-year-old girl (who I believe is never named) as she spends her summers in the Cornish of Fowey. 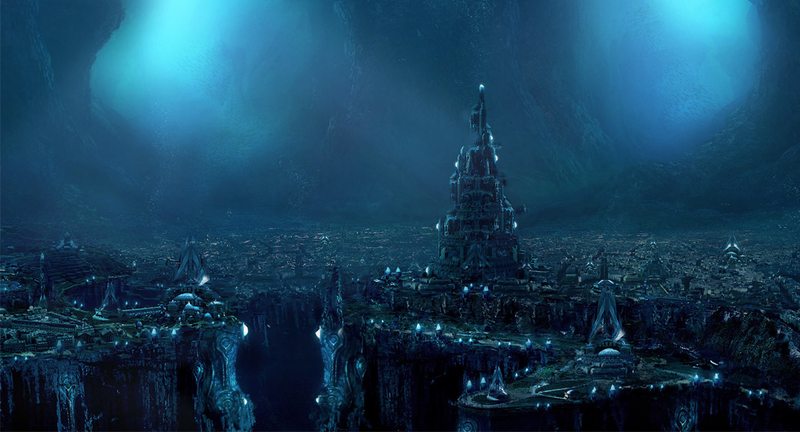 One day a dead body is found in a fishing net and the town is shocked and horrified. But the twelve-year-old girl is not. She is fascinated with murder and serial killers. 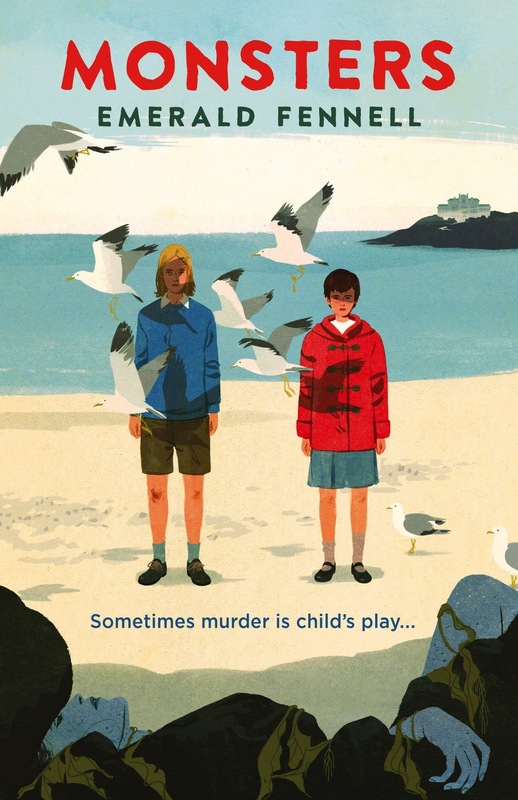 A boy, Miles, comes to town and they begin investigating the murders and even pretending to commit some of their own. Disturbing, cruel and downright gross this book is dark and unsavoury. It’s also brilliant. ‘Six of Crows’ is a YA fantasy heist novel, like Ocean’s Eleven I guess, but infinitely more grand and wondrous. Kaz Brekker is a criminal prodigy tasked with rescuing a captive from the most notoriously impregnable prison. He takes the job on, recruiting five others to help him. A thief, a sharpshooter, a witch (heartrender), a spy and a runaway. Set in the world of the Grisha’s, this book resonated with me for its love of dark characters, brilliant plotted-scenes, action, tension and intricate magic system. 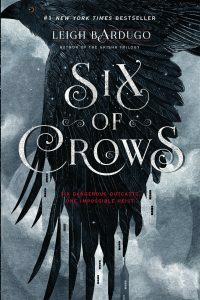 Similar in many ways to ‘A Darker Shade of Magic’ (see below), ‘Six of Crows’ favours it’s vicious anti-heroes who kill and steal to make a better life for themselves. 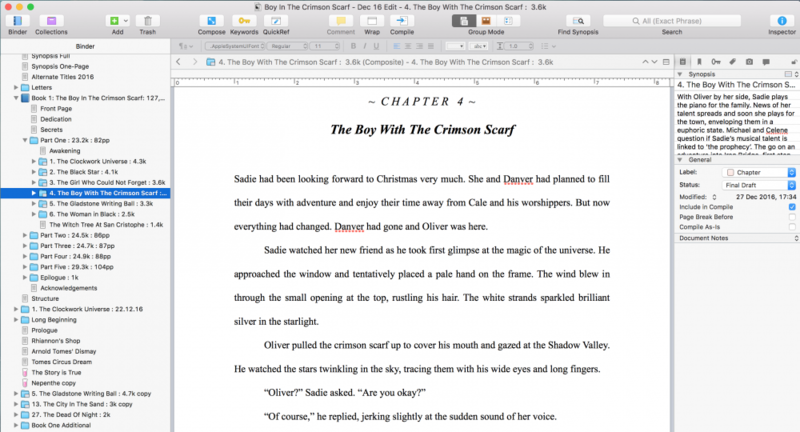 Book Two in this series ‘Crooked Kingdom’ is waiting to be read in early 2017. Pretty excited. Can’t wait to start that one! This has been one of my favourite books, not just this year, but ever. I was gripped from page one of this vicious fantasy novel where we learn about Kell’s magic coat that can be turned left and right and become a different coat all together. V.E. Schwab’s writing is glorious, sweeping and majestic. 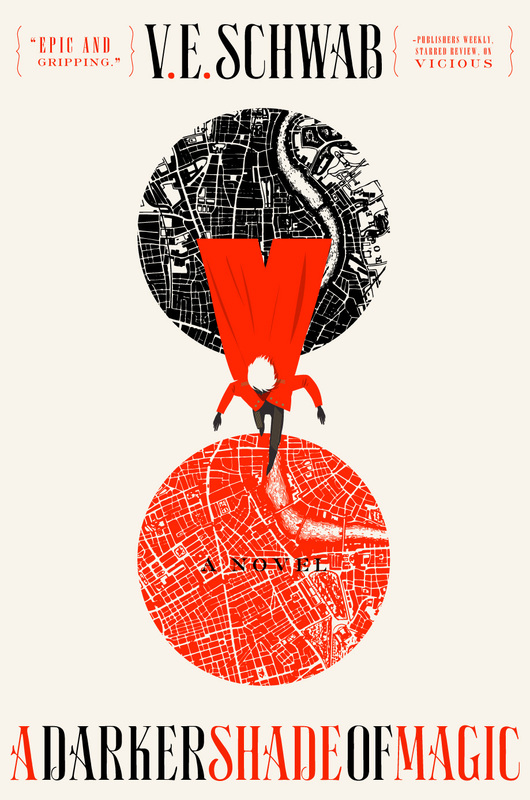 The worlds of Red, Grey and White London (parallel universes that Kell is able to travel between) are beautifully conceived and presented, making a totally believable world that I’d love to visit. 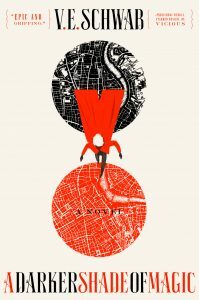 ADSOM moves with a great pace, adeptly sidestepping genre cliches and culminating in a realistic and satisfying finale. I’ve also read Book Two ‘A Gathering of Shadows‘ and V.E. Schwab’s ‘This Savage Song‘ this year which were both amazing too but I couldn’t put three books by the same author in my Top 5 (could I?). Either way, I’m putting V.E. Schwab in my top three favourite authors alongside Terry Pratchett and Neil Gaiman. Welcome, Victoria. Stay a while. What does 2017 hold? Well, as well as publishing ‘The Last Scarecrow’ as a FREE download / eBook, I’m planning to finish ‘Shadowling’ (my NaNoWriMo novella) and the second book in The Madison Chronicles series ‘Sadie Madison and the Bounty Hunters Apprentice’. Bookwise, I’m excited about Leigh Burdugo’s ‘Crooked Kingdom‘, the third book in Abi Elphinstone’s ‘Dreamsnatcher’ series ‘The Nightspinner‘, Susan Dennard’s ‘Truthwitch‘ and ‘Windwitch‘ and the rest of ‘The Dark Tower‘ books by Stephen King. Oh, and about 90 others! Let’s do this.